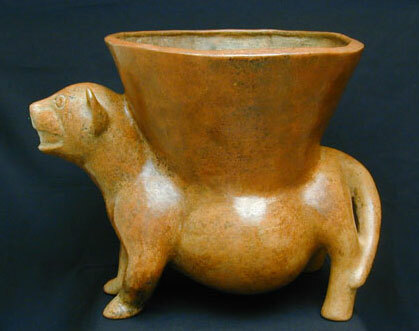 A finely modelled Jaguar effigy vessel. 100 B.C. to A.D. 250. Height approx. 13 inches, length approx. 16 inches.